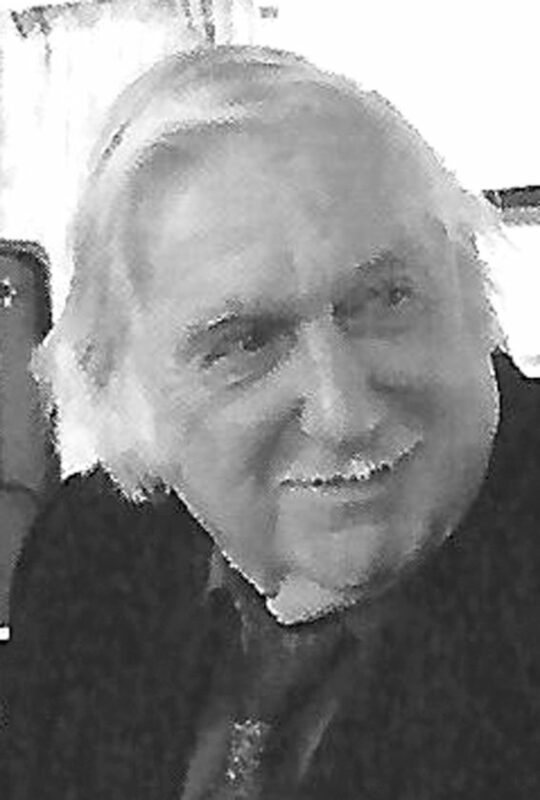 PORTLAND — James G. Corell, “Jim”, “Graper 1”, 79, of Portland, NY, died November 30, 2017 at his home with his loving wife by his side. He was born March 6, 1938 in Brocton, NY, the son of the late Roger and Mildred Genske Corell. Jim was a veteran of the United States Air Force serving from 1957 to 1965. He had been employed by Allegheny-Ludlum in Dunkirk, NY from 1965 to 1970. Growing up Jim had worked in his dad’s grape vineyards along with his dad and brothers. The family grape vineyard was established since 1866. Then one day he became very serious and decided to become a self-employed grape farmer. Jim’s passion in the grape vineyard was great and if anyone went looking for him, they could always find him in a grape row or on a tractor. There was always work to be done, and everyone knew how hard this man worked. Occasionally, he went to an auction, but he mainly enjoyed talking to the other grape farmers. He enjoyed attending the once a month Monday night fire hall meetings, staying afterwards to talk to friends. His other enjoyment was just being with his family whenever he could. Jim has been a member of the National Grape Co-operative Association since 1971. He served as a Delegate for District #3 for several years under the National Grape Co-Op and delivered his grapes to Welch Plants. He’s currently a member of the Lake Erie Regional Grape Program, Portland, NY, Farm Bureau, St. Paul’s Lutheran Church in Fredonia, Brocton American Legion Post 434, Portland Volunteer Fire Department (35 year member-several years as chairman of the annual chicken BBQ) and a previous Brocton Central School Board member. Jim is survived by his wife, Linda Walters Corell, whom he married December 1, 2004 in Fredonia, NY, his sons; Steven (Dana) of Phoenix, AZ, Roger (Sharon) of El Dorado Hills, CA, and Jerald of Portland, NY, one sister, Nancy Behnken of Ogden, UT, a brother; Fred (Delores ‘Toot’) Corell of Brockport, NY, a sister in-law; Barb Corell of Fredonia, NY, Mother-in-law; Betty Walters of Mayville, NY, sister-in-law; Bonnie Seth of Olean, NY, sister-in-law; Jackie (Bob) Wiley of Olean, NY, brother-in-law David (Anne) Walters of Mayville, Ny, brother-in-law; Bruce Walters of Hinsdale, NY, sister-in-law; Sandra Robinson (Dave Henneberger) of Portville, NY four grandchildren; Kaitlyn, Hayley, Scott and Brett, and several nieces and nephews. He was preceded in death by his parents, Roger and Mildred Genske Corell, his first wife; Faye Stevenson Corell, a brother; Lloyd Corell, a brother-in-law Jack Behnken, and a father-in-law; Jack Walters. The funeral will be held on Tuesday, December 5, 2017 at 11 a.m. at the St. Paul’s Lutheran Church in Fredonia (334 Temple St, Fredonia 14063). The Rev. William Novack will officiate. Military honors will be given by the Brocton American Legion, John W. Dill Post 434. Burial will be private in Chautauqua Cemetery at the convenience of the family. The family will receive friends for one hour prior to the funeral service at the church (10-11 a.m.). Memorials can be made to St Paul’s Lutheran Church in Fredonia, or to Chautauqua Hospice and Palliative Care, 20 West Fairmount Ave, Lakewood, NY 14750. The Freay Funeral Home is in charge of arrangements.